Midlands camera chain Jessops is back after Dragons' Den entrepreneur, Peter Jones, decided he was going to make them an offer. It cost him £4 million for 100% of the company. The group was founded in Leicester in 1935 and had almost 200 stores before they all closed in January 2013 with 1,500 people losing their jobs. Chris Edger, Professor of Multi-Unit Leader, Birmingham City University, has told ITV News Central the reopening of Jessops in Birmingham is 'great for customers and employees'. Dragons' Den star Peter Jones has chosen Birmingham as one of the first cities to relaunch the camera retailer company. 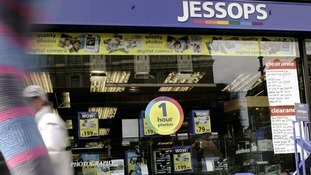 Birmingham has been chosen as one of the first cities to relaunch the camera chain store Jessops. Dragons' Den star and businessman Peter Jones bought the brand and certain assets after the Leicester based firm went bust at the start of the year. Also reopening today is the branch on London's Oxford Street. This weekend four more stores will start trading again in Manchester, High Wycombe, Aberdeen and St Albans, with 30 more planned to re-open throughout April. "I believe Jessops is an iconic British brand which can lead the retail resurgence on Britain's high streets, powered by new innovations and world-leading, expert staff. "Image is everything, and even in the mobile and tablet era, there's no substitute for a quality camera when it comes to taking the perfect picture." Thirty more Jessops stores are due to re-open across the country as part of a £4 million investment by tycoon and TV personality Peter Jones. The Dragons' Den star bought the brand and certain assets after the Leicester-based camera retailer collapsed in January. Stores have reopened in Birmingham and also in London's Oxford Street today.It was the first high profile retailer to go into administration this year. It is not yet clear where the stores will be - but the store's new website will go live at midday. 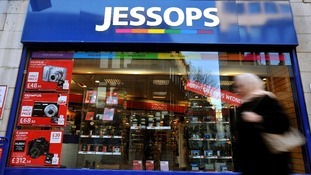 Dragons' Den star Peter Jones has chosen Birmingham as one of the places to relaunch camera retailer Jessops today. 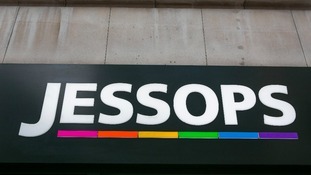 A Jessops administrator has said in a statement that the company has been sold to a number of buyers including entrepreneur Peter Jones. Rob Hunt, joint administrator and partner, PwC said: "We can confirm that we have sold the brand and certain other assets to a number of buyers including entrepreneur Peter Jones CBE."